Bunions extend from the base of the big toe, resulting in painful joint deformities and eventually arthritis. 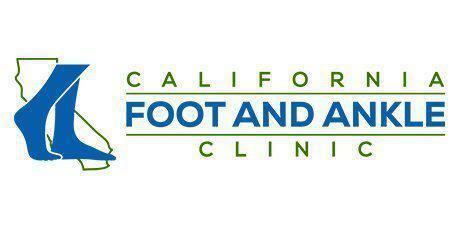 As a top-rated podiatrist in Riverside, CA, Dr. Sahand Golshan provides innovative bunion treatment options at California Foot and Ankle, helping patients resolve symptoms and restore normal joint function and shape. Bunions are bony protrusions located at the base of the big toe where the toe attaches to the foot. They occur when the big toe joint moves out of its normal alignment, usually as a result of pressure from ill-fitting shoes or regular use of high heels, but sometimes as a result of trauma. People with certain types of inherited foot shapes or gait patterns are also more likely to develop bunions. Without proper medical treatment, the big toe joint can become arthritic and deformed, causing significant pain and inflammation in the joint and making it difficult to find shoes that fit comfortably. Sometimes, the bunion can force the big toe to cross over adjacent toes and making walking and other movements painful and difficult. Very mild bunions in their early stages of development may be treated by wearing shoes that provide ample room in the toe area to avoid crowding the big toe and forcing the joint out of alignment. More often, patients benefit from the use of custom orthotics to help keep the big toe joint aligned and prevent pressures that can cause joint deformity. Splints may also be worn at night to help keep the joint in its proper position, and gentle stretching exercises can keep the joint from becoming stiff and inflamed. Medications can also be used to reduce inflammation and pain. In some cases, surgery may be needed to restore the joint and relieve symptoms. Bunion surgery uses several small incisions over the toe joint to access the bones and shift them back into their proper alignment, Sometimes, damaged tissue will need to be removed and the ligaments that support the toe may need to be repositioned. Tiny screws or pins may be used to hold the joint in its position and keep it stable. Once the surgery is complete, a cast or special orthopedic boot may be used to provide additional support for the foot during the early stages of healing.